New features and infrastructure to make all this Bitcoin/Cryptocurrency business less daunting are growing daily [so dating this post was probably a good idea: April 2019]. By ‘growing’ I include the methods or gateways by which crypto is bought with your traditional money (‘fiat currency’). For example, Coinbase recently integrated Paypal, allowing withdrawals. Buying Your FIrst Bitcoin(s) etc. You can’t go too far wrong if you use Coinbase, but you’ll need to put some time in for validating your (traditional) accounts that you ‘link’ to Coinbase, as well as adding KYC information or identity docs. At present, Coinbase is still the website that makes crypto purchases very secure and easy. 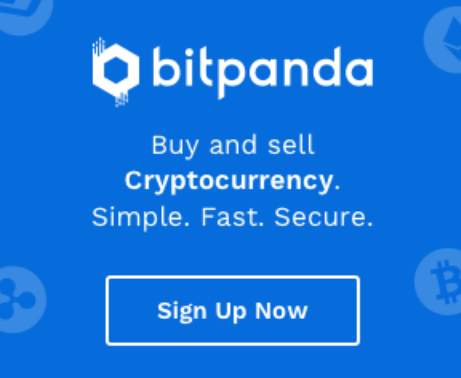 But you can now use other sites such as Bitpanda (based in Europe and I recommend) or Binance Jersey. You’ll have to check first about the difference in fees. On the above exchanges, the cheapest method of buying Bitcoin etc. is by first depositing fiat into your wallet (which involves using internet banking, and waiting a couple of days for the funds to show up). Then you can purchase Bitcoin or the crypto of your choice. Much quicker but more expensive is using debit or credit card. Now you’re sitting looking at your new investment, it’s time to start thinking outside Coinbase etc. You might want to send it to someone as a gift, use it to exchange it for some particular crypto or token, or off to another wallet. 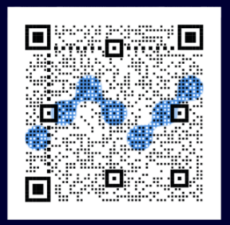 You can either send it via email, (if your recipient is not yet on Coinbase, in which case they will receive when they sign up) or more likely, by using the public address or QR code of the recipient. You could also swap Bitcoin for many of the other ‘altcoins’ or projects now featuring on Coinbase etc. Do your research on these projects first! You could read about many of them here at Ade’s Crypto Press too. For many coin projects, especially newer ones, you’re only able to buy them on certain exchanges, if not Binance (which has the largest selection). So you’ll need to make an account there, and send your bitcoin on to one of these exchanges, or a decentralised exchange (DEX). 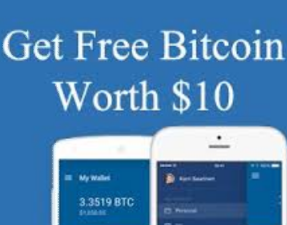 You may also want to send bitcoin to top up payment cards, or to sites that accept bitcoin, or maybe staking, lending or interest-generating projects, or to friends and family. Coinbase or fiat ‘gateway’ exchanges are stage one, so it’s important to move out of these ‘gateways’ or ‘custodians’ as soon as possible, and into real crypto wallets, where you possess the private keys. Yes, you could just ‘hodl’ crypto in Coinbase, and you can even create Vault accounts which are a little more secure. There’s no doubt that Coinbase has earned a lot of trust. They have also implemented a lot of options for tight security/access into your account (see the Tools section below). Coinbase and fiat ‘gateways’ remain the ‘essential but unloved aspect of crypto’ as these places actually hold your crypto for you, like a bank. And banks were never the point of crypto. They charge fees and they want to provide services for conversion, savings etc. This is all pretty inevitable. It really just depends on how long or how much you’re keeping there, for what purpose, and how paranoid you are. It’s true that in the event of getting hacked these major exchanges will be bound to refund owners, but it would still be a painful experience. The most ideal (if you’re not using crypto too much but ‘hodling’ it like digital gold) is to move it offline, into cold storage, or at least into a custom-made software wallet, where you hold the private keys. For blockchain platforms like Ethereum, EOS etc. this is essential because it’s through such wallets that you’ll be able to interact with the blockchain including the use of dApps. The point is that you should be the boss of your crypto, at least some of it. And you can be, it’s very easy. See below. The second stage for any crypto-user is to use is a ‘real’ crypto wallet that allows you full control over your assets. For example: Blockchain.com. You will get your keys (public obviously, but also private) to your wallet, and truly be your own bank. They often come with specially-designed mobile wallets, especially for dApp platforms like Eos, Tron, Vechain etc. You can still purchase major cryptos from within these wallets, hence they can continue to develop and add features. Note: Coinbase also has an alternative wallet: Coinbase Wallet which is also a ‘real’ wallet and can also be used to store collectible tokens, including crypto-collectibles. It can also interact with your normal Coinbase account. Browser Extension Wallets: MetaMask, Scatter etc. These are more for dApp platforms like Ethereum (which uses MetaMask browser extension), EOS (which uses Scatter) and TRON. Some of these wallets are becoming more connected to multiple networks, allowing you to switch between them easily. 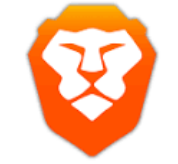 These online browser-integrated wallets are very safe. They ensure your funds remain locked, and they will give you your keys (often a mnemonic phrase that you write down) plus private key. What are browser wallets and why should you try one? They are used for interacting with blockchains or dapp websites, ie. actually using crypto and signing transactions. They are also for storing any token that is native to that blockchain eg. 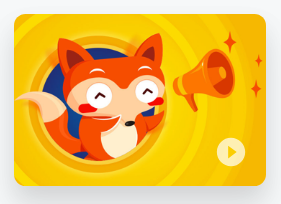 MetaMask can store all your Ethereum ERC-standard tokens (which are basically mini-cryptocurrencies with their own value running on Ethereum, that have some use-case within a specific ecosystem). You’d be surprised how many cryptos are in fact Ethereum-based tokens, or once were. These wallets are the way forward for the new internet, as they also mean only one log-in and password are required, for making online transactions with crypto on many different dapps or sites, so easy. These offer the most security, such as Ledger Nano S or Trezor. They keep your crypto on an external device separate from your computer or internet, except for when plugged in, where they can interface with various software or websites, fast and securely. Nothing in life is 100% secure. Coinbase and co. do a great job of making cryptocurrency accessible and secure. Personally, though, I recommend the second option, a software or mobile wallet, for the majority of your crypto at all times. And the third for investment. Google Authenticator – for 2-step security access. You will need to download this app on your smartphone. It generates codes for accessing sites that have wallets or transactions. It’s optional, but pretty vital to help protect access to any website where your crypto is being held or applied for some purpose (like staking). More and more sites, especially crypto exchanges and some wallets, request KYC or Know-Your-Customer including personal information, ID documents, address, phone number etc. It’s worth mentioning that this also was never the point of crypto. It was supposed to be anonymous and for everybody to send value securely and beyond governmental or bank control. However, things have evolved rapidly beyond this. Luckily, there is a better solution emerging, that of securing identity with the blockchain. Using biometrics (fingerprint) on your smartphone and an app, you can store all your ID information onto the blockchain and securely control it via an app. Where requested, you can provide access to your ID without any documents being given out (and potentially stolen). One such project is Civic, and this may form part of the future for ID verification. Hopefully, this provides a useful starter guide for those taking their early steps into a larger world. Crypto is incredibly secure technology and ‘value’ is finally safer than ever before, more so than in your bank or in any centralised system. However, with individual power comes the need for individual responsibility, when it comes to storage and address management.